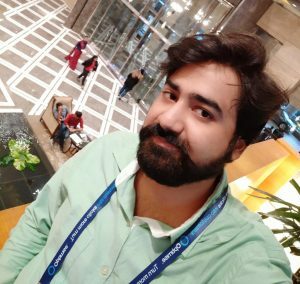 Block websites from your computer. Block all kind of browser hijacker from your PC. Remove all spammy website from your browser at once. Completely block mysites123, Sogou and many more websites. Block website from Windows 7, 8, 8.1 and 10. Many people think blocking a website is a bit difficult task. But let me tell you that, it is an easy task that requires just a simple coding. No matter, what the reason might be. You can block websites in many ways for example you can block a website on a specific browser, on an OS, or your system router. Let’s see the detailed description of how to accomplish this task on your PC. You need to set up the block at the OS level in order to gain the access over websites through one machine. Before proceeding forward you need to have administrative access to the system and the username and password for the operating the system. 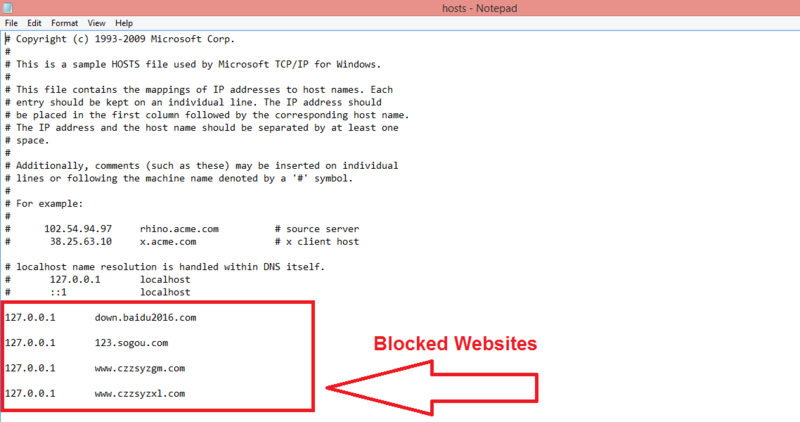 In order to block a website, one needs to edit the ‘Host’ file which helps convert site URL’s into DNS address. This conversion helps you to block access to any website which you feel isn’t safe. So the whole article guides you towards the method of conversion of this HOST file into DNS address. Click on the ‘My Computer’ and search for the ‘C:’ drive. Now, Search for the “etc” file. To do so follow the path: C: >windows>System32>drivers and then, finally you can find ‘etc’ file. In the “etc” file you will see HOSTS file. 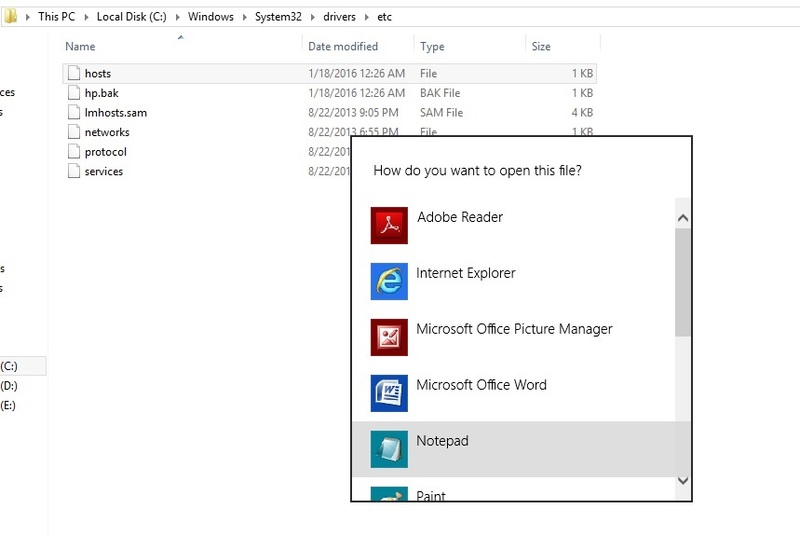 Double click on this and choose open with notepad to edit the file in order to block the particular website. Now, a notepad with multiple coding is opened and you need to scroll to the bottom of the file where you can find a line consisting of code in the format of “127.0.0.1 localhost.” without editing any of the lines in the file. Now, start a new line beneath the local host in order to block the certain website. For this, all you need to do is add the site URL at the end of “127.0.0.1”. If you want to block multiple sites then, write the same starting from the new line. Now, save the edited version and close the entire browser and reopen it again to check if it is blocked or not. 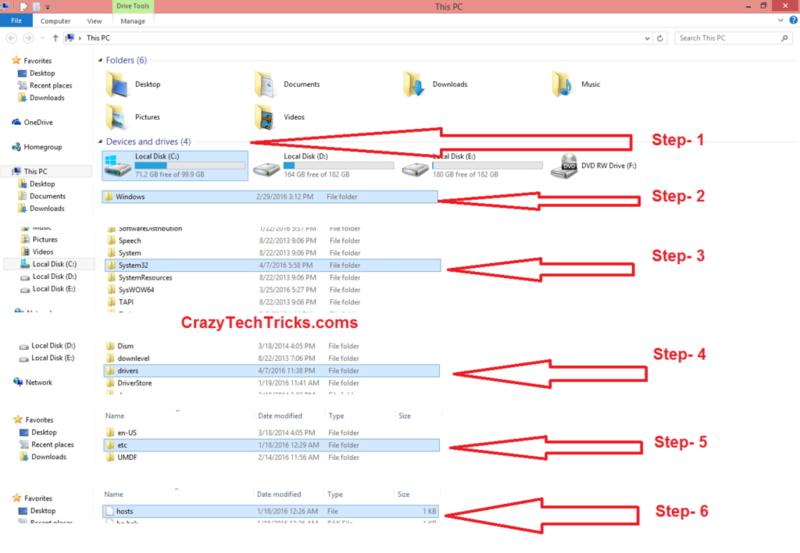 You can remove all kind of spammy websites and browser hijacker by using this trick. 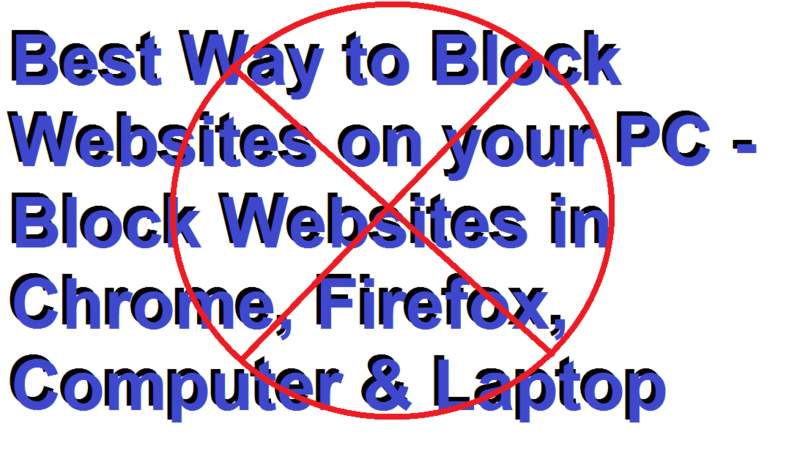 This trick will help you to block any website and as many websites, you want to block from your PC on any browser. Friend don’t forget to share this article with your friends. So, share this article now and help your friends in blocking websites.